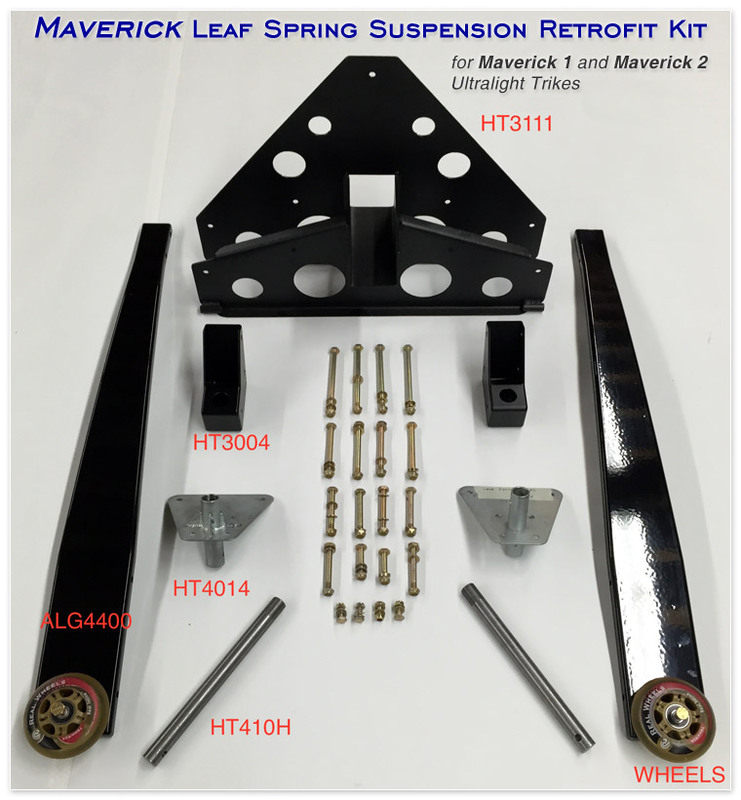 The new Maverick Leaf-Spring Suspension Retrofit Kit provides softer landings, aircraft styling, less drag and fuel consumption, and folds for storage and travel. 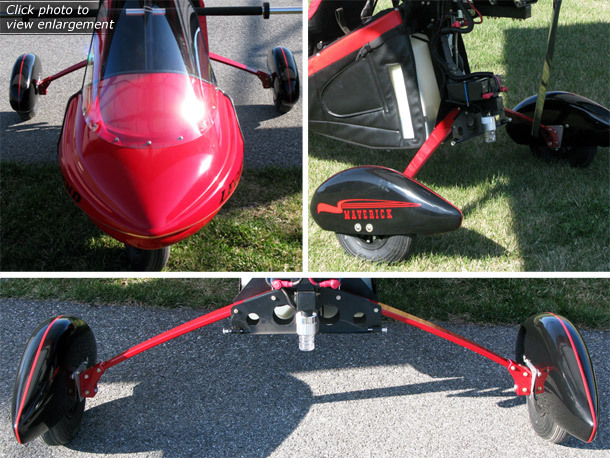 You can retrofit your Maverick 1 or Maverick 2 trike to this new landing gear. 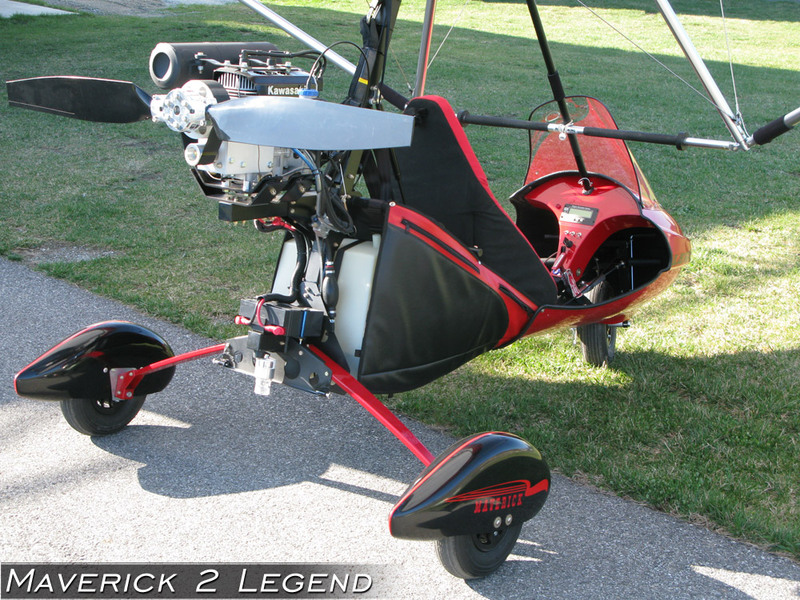 Available for both Maverick Legend and Maverick RT trikes. 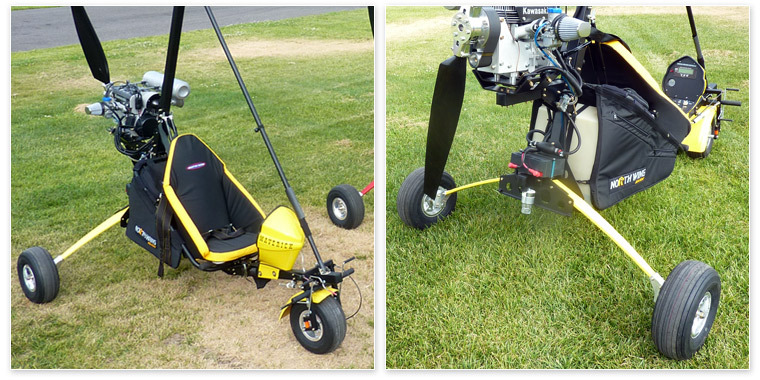 Send us an email message or phone 509.682.4359 to order this new leaf-spring suspension.